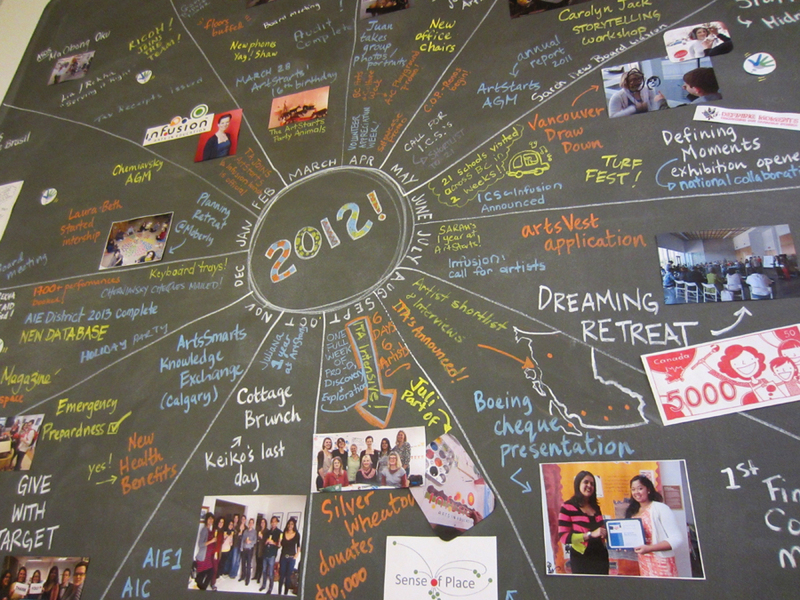 2012 has flown by, and we can hardly believe the year is already drawing to an end. We thought it would be good idea to look back at the year and review events that made a mark, reflect on our accomplishments and recall our personal highlights. 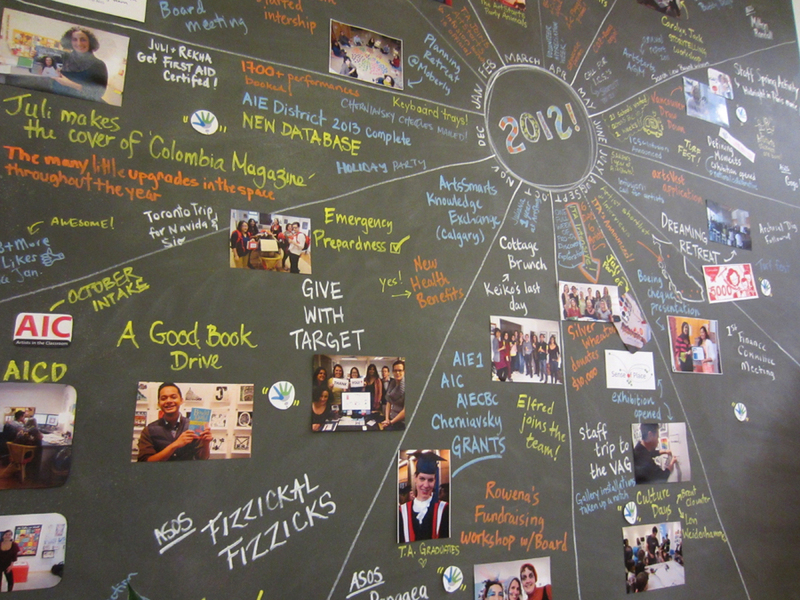 We used the Ideas Wall in the ArtStarts office to collect some of the milestones from 2012. It was really fun to gather as a team to remember and celebrate what a great year this was. We're looking forward to taking on a whole year! 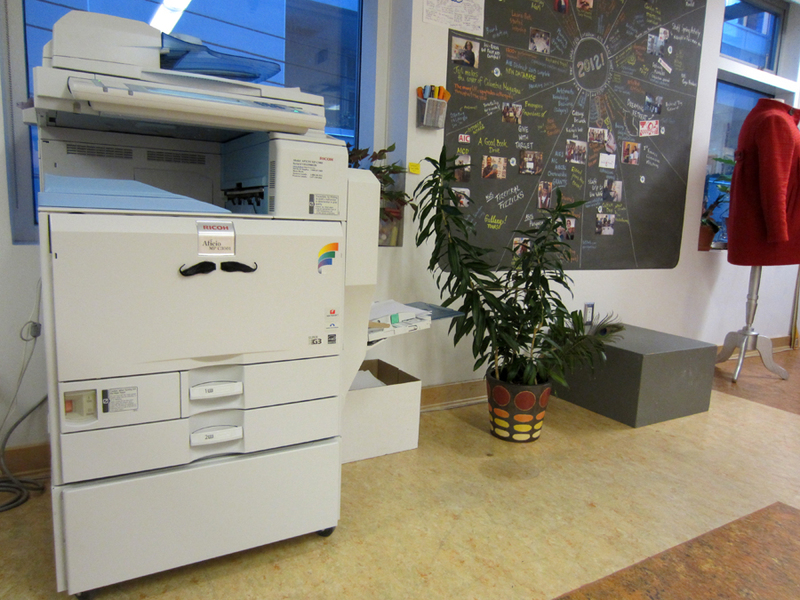 See you in 2013!